Congratulations to these “movers and shakers” recently hired or promoted into a new chief information officer role. Movers & Shakers is where you can keep up with new CIO appointments and gain valuable insight into the job market and CIO hiring trends. 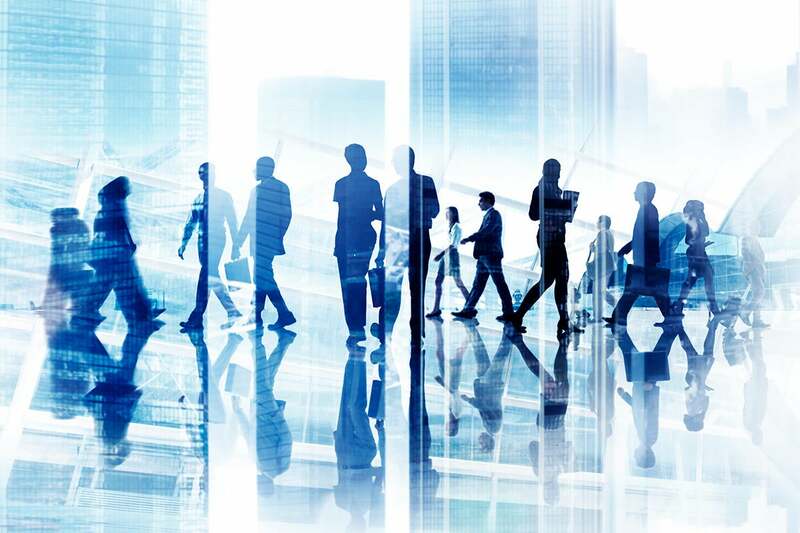 As every company becomes a technology company, CEOs and corporate boards are seeking multi-dimensional CIOs with superior skills in technology, communications, business strategy and digital innovation. The role is more challenging than ever before — but even more exciting and rewarding! If you have CIO job news to share, please email me! Krebs joins the company from Fidelis Care, where he was CIO for several years. Prior to that, he was CIO for PCB Piezotronics. Krebs has a degree from the University at Buffalo School of Management, State University of New York. Rice was most recently global business services senior vice president and CIO with Kellogg, where he was employed for more than 10 years. Rice has a bachelor’s degree in CIS from Ferris State University. Jacob was formerly CIO for Presbyterian Healthcare Service, where he oversaw IT strategy and planning, operations and leadership for the IT team. He has a bachelor’s degree in electronics engineering from Mangalore University, a master’s in technology management from the Keller Graduate School of Management at DeVry University, and an MBA from Northwestern University, Kellogg School of Management. Hedstrom will head up a broad range of IT initiatives, and manage the global IT team, including information security, platform services and business support. He was most recently vice president of system solutions and services for the company’s Transportation Systems division. Hedstrom has a bachelor of science degree in computer engineering from California Polytechnic State University, San Luis Obispo. Wills, with nearly 23 years of IT experience, joins the company from Toys R Us, where he was executive vice president and global technology officer. Wills has a bachelor's degree in computer science from the Central Institute of Technology in New Zealand. Joshi was formerly vice president for investment and wealth management with Franklin Templeton Investments, where he had been for many years. He is a graduate of the University of Mumbai and has an MBA from Virginia Tech, Pamplin College of Business. Wolfson will lead IT, informatics and digital strategy at the firm. 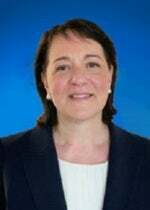 She joins the company from Xerox, where she was CIO, and the Wyndham Hotel Group, where she was also CIO. Wolfson holds a bachelor’s degree in mathematics from Queens College and has a master’s degree in technology management from Columbia University. 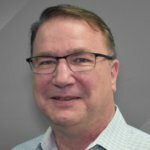 Higham, with more than a quarter century of IT leadership experience, will oversee security, business applications and operations for the company. He was previously in leadership roles with Marketo and other organizations. He earned a degree in computer technology from CDI. Navagamuwa had most recently been the interim CIO for the organization, and will oversee the integration of Aetna’s IT organization into the current IT organization, as part of last year’s acquisition. Previously, he had served as senior vice president for client services and vice president for government Ssstems for the company. Navagamuwa holds a bachelor of science degree in computer science from Denison University. Steitz, as the company’s first CTO, is responsible for product development, engineering, architecture and overall technology strategy for the company. He previously held the CTO role at Pegasus Solutions, Edgenuity, Deem and American Express. Steitz has a bachelor’s degree in philosophy from Beloit College and a Ph.D. in mathematics from the University of Maryland. Pochintesta was previously CIO for Rag & Bone Holdings. In his new role, he will oversee IT, telecommunication networks and computer systems, as well as technology resources and strategy for the company. Pochintesta holds a bachelor of science degree in computer science from Pace University. Richardville will oversee the management of IT strategy and operations, enterprise systems, applications, security, infrastructure, automation, and digital transformation for the organization. He was previously senior vice president and CIAO for Carolinas HealthCare System. Richardville has a bachelor’s degree in both business administration and computer systems and an MBA in finance from the University of Toledo. 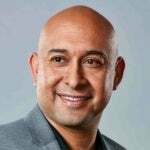 Morales will be responsible for the company’s global technology platforms and creating new systems for analytics and data. He joins the organization from eBay, where he was CIO. Morales has a BA in managerial studies from Rice University. Guichelaar will oversee all technology infrastructure, application development and digital strategy for the organization. Previously, she was group CIO at Thomson Reuters and has also held senior IT leadership roles with Lloyds Banking Group and Deutsche Bank. As CIO at Providence St. Joseph Health, B.J. Moore will be at the helm of transforming and modernizing all aspects of technology for the company. 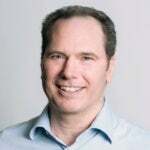 He was previously with Microsoft for nearly 20 years, where he was most recently vice president of enterprise commerce and compliance — cloud & AI. Moore has a BS degree from Colorado State University. As senior vice president and CIO at Rite Aid, Justin Mennen will oversee all aspects of the company’s technology and information operations. He joins the organization from CompuCom, where he was chief digital officer and CIO. Mennen has a bachelor’s degree in business administration from the University of Kansas, Lawrence. Dan Shirk has been named senior vice president and CIO for Masonite. Prior to that he was vice president, Information Systems and Project Management Office for Ascena Retail Group, and previously he held leadership roles at Boral Stone Products and Owens Corning. He holds a BS degree in welding engineering from The Ohio State University. 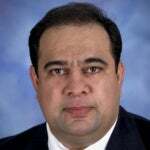 As CIO of SpartanNash, Arif Dar will have ownership, development, and execution of IT strategy for the entire company, including enterprise architecture management, application management, security and risk management, and infrastructure and operations support management. He was previously CIO for SC Johnson and Sons. Dar holds a BS degree in electronics & electrical engineering from the University of Engineering & Technology in Lahore, Pakistan, a Master of Science degree in Communication Systems and Radio Engineering from King's College, University of London, and an MBA in MIS and operations from the University of Western Ontario. Mike McCranie has been named CIO of Interstate Batteries. 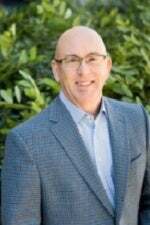 He was most recently senior vice president and CIO at Serta Simmons Bedding and prior to that, he was vice president of information technology, CIO for Thomas & Betts. As CIO of Citizens Financial Group, Michael Ruttledge is responsible for all areas of the company’s IT. Previously, he was senior vice president of technology and unit CIO with American Express, where he had been for many years. Ruttledge has a Master of Science degree in information systems from Brighton University in the United Kingdom. 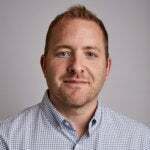 In his new role as CTO of Alberici Group, Aaron Geiger is responsible for the overall technology roadmap for the enterprise, focusing on driving operational excellence. 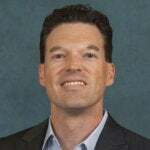 Most recently, he was CTO for ARCO National Construction and was previously CIO for Murphy Company. He has a BS degree in finance from the University of Missouri-Columbia Trulaske College of Business. Barbie Bigelow was selected to lead Black & Veatch’s digital strategy and oversee IT functions. She was most recently senior vice president and CIO for Jacobs Engineering. Bigelow holds a BS degree in biology/chemistry from Tusculum University and a Master of Science in computer science from the University of Tennessee, Knoxville. Daniel Curling has been named senior vice president and CIO at Asurion. Promoted from vice president of enterprise technology services, he will now oversee core technology operations and security for the company. He was previously vice president of delivery at Sabre Hospitality Solutions. Curling has a bachelor’s degree in MIS from Texas A&M University. Brian Woodworth has been named senior vice president and CIO at Exide Technologies. Formerly CIO for Phillips Pet Food & Supplies, he will lead IT for Exide via innovation and with a solid technology infrastructure. He holds a BS degree in computer science from the University of Michigan. As CIO of AXIS Capital, Keith Schlosser will lead global IT strategy for the firm, with an emphasis on growth, digital, and change initiatives. He was previously executive vice president and CIO for Chubb International. Schlosser holds a degree from Western Connecticut State University. Ayman Taha was named CIO at TruGreen. Previously, he was senior vice president of enterprise technology solutions at MGM Resorts. In his new role, he will be responsible for digital technology development. 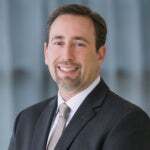 As CIO at Parsons, Stuart Kippelman will be tasked with collaborating with business leaders on IT innovations, standards, data analytics, business intelligence, infrastructure, security, and technical services, among other areas. He was previously CIO at Johnson & Johnson and Covanta. Kippelman has a BS degree in both business and information systems and an MBA in technology management from the University of Phoenix. As CIO at Lowe’s, Seemantini Godbole will oversee all IT strategies and initiatives for the company. She joins the firm from Target, where she was senior vice president (technology). Godbole has a Bachelor of Engineering degree from the National Institute of Technology in India and a Master of Science degree in Computer Science from Texas Tech University. 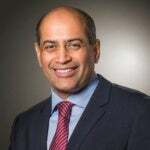 Raj Kalathur, previously senior vice president and CFO for Deere and Company, adds CIO to his title. This move will help position IT as a strategic competitive advantage for the company. Kalathur has a MS degree in industrial engineering from the University of Alabama and an MBA from the University of Chicago – Booth School of Business. Mike Mead has been named senior vice president and CIO at CNO Financial.In these roles, he will oversee the development and implementation of strategy for information systems and infrastructure across the enterprise. Mead joined the firm from AIG, where he was most recently senior vice president, transformation executive. He has a BBA degree from Texas Tech University and an MBA from Southern Methodist University. Twila Day has been named vice president and CIO at Huntsman. Prior to that, Day was managing director for Alvarez & Marsal and previously worked for Genesys Works Houston and Sysco. Day has a Bachelor of Arts degree from Our Lady of the Lake University.